Mick Jagger is recovering in hospital after undergoing a successful heart valve replacement procedure in New York. 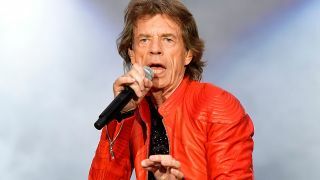 News about the operation came to light earlier this week, after the Stones were forced to postpone the start of their North American No Filter tour due to the vocalist needing medical treatment. Billboard report that Jagger avoided major surgery by having a “minimally invasive procedure” yesterday and is said to be in “great health”. Jagger is now being monitored and could be back on his feet over the next few days. The tour, which was due to start this month, will now begin in July, with the rescheduled dates expected to be announced in the near future. After the North American shows were called off, Jagger tweeted: “I’m so sorry to all our fans in America and Canada with tickets. I really hate letting you down like this. The Rolling Stones recently announced the release of a new compilation album, Honk, and followed it by sharing footage of the band performing Wild Horses with Florence And The Machine's Florence Welch.